People who don’t set goals tend to get tangled up in minutia and begin to devote time to activities which do not help with long-term growth. Everyone has desires. Whether yours is getting a promotion, returning to school, writing a novel, or getting in better shape, it will never come to fruition if you don’t set goals. When it comes to setting a goal, the first thing to remember is that it must be reasonable. If you set yourself a goal that is unrealistic, you will give up before you even get close to achieving it because you will be disheartened by your lack of progress. With that in mind, here are three ways that setting goals can help you grow. Prioritization: By setting yourself a challenge to work towards, you are organizing your priorities. This will give you a clearer perspective, allowing you to set your more important wishes and desires apart from the less important ones. For example, if you want to write the first chapter of your novel, you will probably decide that sitting down with a pen and paper is more important than watching your favorite TV show. Once you have set your goal, you’ll find it much easier to steer towards productive activities and away from ones which are wasting your free time and blocking the path to your goal. Once you do away with distractions, you’ll find the path to your goal is much clearer, and you will soon have something to show for your hard work and determination. Movement: If you want to get into better shape, one of your first steps might be joining a fitness class. If your wish is to get a promotion, you might sign up for an online course to increase your knowledge of your field of business. If you complete your class or course, you can look back and see what progress you have made. You will also be able to easily identify any challenges or obstacles that made attaining your goal more difficult. This will allow you to make adjustments for putting your next goal into play. Motivation: Setting a goal is making yourself a promise that you will see it through to the end. This type of commitment helps you stay focused and motivated. If you begin to struggle with your motivation, break your long-term goal into a series of more manageable short-term goals, so you can pat yourself on the back when you reach each landmark. Because you stay motivated, you will avoid slipping into the swap of procrastination and getting bogged down by worrying about whether or not to set your goals in the first place. Short-term goals are markers on the way to reaching a long-term goal. It’s important to have short-term goals so that you can see you are making progress and getting closer to your ultimate desire. They can help you minimize distraction and stay motivated. Long-term goals can take a year or several years to accomplish. Your long-term goal may be to become a senior partner in your company, to expand your business overseas, or to retire by the time you are aged 50. Each time you reach a long-term goal, it is a culmination of all the short-term goals which preceded it. Over time, long-term goals may change or grow even more ambitious. Personal goals could include losing 20 pounds, joining your community softball team, saving for an overseas vacation, learning to ride a horse, or improving a personal relationship. You need personal goals in order to feel fulfilled in life. It’s important to keep a balance between your personal and professional goals, if you satisfy one at the expense of the other you will not feel fully satisfied and may soon begin to feel depressed. 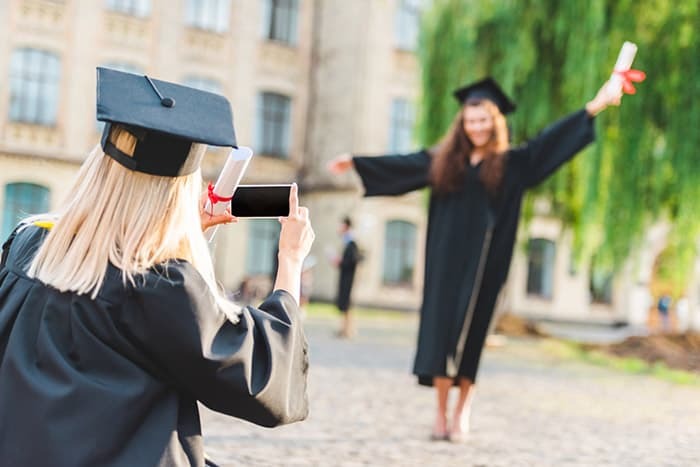 Professional goals might include advancing up the corporate ladder, starting your own business, changing careers, or going back to school to advance your current career. Everyone has a unique personal objective for their career. The important thing is to stay focused and motivated and remain on the path that is leading you to the achievement of your goal. Professional goals often have to be timed carefully, so that family and social needs are not neglected. Whether you need to make some changes in your personal life or your professional life, setting goals is the way to get started. They will help you stay focused, avoid distractions and overcome procrastination. Remember, goals are markers to help you focus your energy in positive ways; they can be changed whenever you wish. You can drop old ones and add new ones as your life changes and progresses. If you’re like 99 percent of business owners, you probably never turn off from running the company. You may feel like going on vacation is a waste of your time, you may take breaks but then end up working through them, or you may feel too guilty about leaving the company to take any time off at all. But one very important thing that you need to remember is that taking a break could be the best thing you ever did for your business and for your health. It’s an actual fact that your business is only as good as the person who runs it. That means if you don’t allow yourself to relax from time to time, you’re not doing what’s best for your company. Not only will a break from business to help your health, but having some distance will also give you a much better perspective of the company when you return. You’ve planned your vacation for a whole year, just you and your family, soaking up the sun and relaxing by the ocean. But what about work; how will they manage without you at the office while you’re away, and how often should you be checking in? You don’t have to cut yourself off completely from the world of work while you’re on vacation, but try to remember that the purpose of a break is to leave business behind, have some fun and recharge your batteries. If you don’t unplug yourself, you run the risk of work-overload stress during the summer months, and this can lead to poor health and depression later in the year. Obviously, you should be thankful to have a business and be doing everything you can to keep it running successfully. However, staying plugged-in during vacation time can lead to stress and frustration because you’ll never quite feel as though you can separate your personal time and your time as the company owner. This can mean that your long-planned summer holiday at that exotic beachfront destination soon turns into an extension of your office and before you know it, you are overwhelmed with input from work and spend less and less time relaxing and enjoying your leisure time. Don’t worry; it doesn’t have to be this way. It’s not so hard to unplug from work without having to feel guilty. So you can’t survive without your laptop even on vacation; perhaps you want to upload your sunset photographs or check in with your friends on Facebook, but beware; the minute you start answering emails, you have opened the floodgates. One simple way to avoid the distraction of work emails is to have them forwarded to a temporary email address that you can check when you get back to work; another is to put your email account on hold until you return. Leaving your technological gadgets behind is not only about leaving work at the office, but it’s also about creating a state of mind. It allows you the opportunity to escape from data-daze and to fully recharge your mind. Without your gadgets you’ll find you have time to do many more different activities, like swimming in the ocean, reading a book, taking a walk on the beach, catching some sunsets, or visiting galleries and museums. Don’t forget your family members too, without the constant finger-tapping of Droids, iPhones, Xboxes and PSPs; you might actually have time to do something fun together. Take a break from the business even if it’s only a couple of days now and again. You’ll be pleasantly surprised at just how much better you will feel when you return. So stop feeling guilty and book your next vacation now; your life will be better for it. Available forms of communication and how communications systems are managed has developed dramatically over the years. Landlines are being used much less, while mobile has become far more mainstream. For those who do not really use their landline anymore, but do not want it to be assigned to anything else or continue to pay the same bill each month, you may be wondering, “What is the cheapest way to keep a phone number?” There are options available that are cost-effective and make perfect sense. One of them is called number parking and there are different features that can be paired with number parking, depending on the needs of the individual or business. Industry studies indicate that less than 50 percent of households in the United States still have landlines. This accounts for less than half of the nation. This number is expected to continue to decrease, as mobile devices quickly become the new norm. Mobile devices are not just on the upswing for personal use, either. Many businesses are increasingly relying on mobile-friendly communications and internet-based phone numbers for their communication needs. Many are finding that the cost-savings in canceling their landlines alone is pretty significant. Those who wish to reap the money-saving benefits, but do not want to simply cancel their phone number to have it reassigned to someone else can do something called number parking. If a number is parked, there will be no incoming or outgoing calls through that phone line. This can be done for both landlines and mobile phone numbers. A parked phone number is not assigned to anyone else and ownership of the number is maintained by the person or business that parks it. Inbound callers to this parked number are may be directed to a message that advises them that the number has been parked. Callers may leave the owner of the phone a message or the calls to the number may instead be automatically redirected to another number. Why Opt for Number Parking? There are a number of reasons why someone may want to learn more about the cheapest way to keep a phone number. As situations arise in life, opting for the cheapest way to keep a phone number without having the line in use may be the best alternative. Some of the situations that could call for looking into the cheapest way to keep a phone number may be a business or person moving with or without a gap of time in between the old location and the new location, managing of someone’s affairs after they have passed away, and simply look for ways to reduce expenditures. If someone happens to be moving from one place to another and there is an amount of time between the time one leaves one home and settles into the new home, it may be smart to look for the cheapest way to keep a phone number during the time that it is not actually in use. Also, if a person is moving to a completely different area but does not want to lose touch with those in the place they are moving from, they could opt for parking the number and having calls to that number forwarded to their mobile line or a new landline in their new home. Managing someone’s affairs after they have passed away is another situation that could call for the cheapest way to keep a phone number. While putting someone’s affairs in order, there may be calls coming in that need to be responded to for some time. Having the person’s phone number parked, but with calls coming into that number forwarded, so that news can be passed and arrangements can be made may be very important. Cutting back on expenditures is another reason to look into the cheapest way to keep a phone number. A business may want to cut back on the cost of certain phone lines, but not want to miss out on calls made to a phone number that has, perhaps, been part of the business for some time. The business owner could then park the number and have calls made forwarded to another phone number. The parking of phone numbers in partnership with features such as forwarding of calls or having a recording for callers can help to save money and streamline communication processes. Global Call Forwarding provides number parking, as well as the corresponding features and has built a solid reputation based on experience, customer service, competitive rates, and professionalism. Call Global Call Forwarding today to learn more about the cheapest way to keep a phone number that is not in use. Telecommunication has changed dramatically over the last 15 years or so. Mobile phones are now the standard while landlines are relied upon less and less. The users of landlines, however, still often want to keep their landline number, if for no other reason than the fact that they have had it forever. Some of us get attached to our phone numbers and can’t bear to part with them. Or perhaps you are traveling overseas for an extended period of time or wish to not use your mobile phone for a particular amount of time, but you do not want to give up your phone number. At the same time, you don’t want to pay the regular monthly fees when you are not even using the number. There is a solution for these circumstances that allows you to enjoy a “keep phone number without service” scenario. It is called number parking. There are a number of services that allow for you to park your number so it is waiting for you when you return from traveling or in the event you wish to use it again for any other reason. In the meantime, you do not have to pay the traditional phone service charges that you would normally pay when you are fully using your phone number. Number parking means that while the number is parked, there are no incoming or outgoing calls on that phone. Global Call Forwarding offers Number Parking for both mobile lines and landlines, as well as international phone numbers. Rates may vary from country to country for the international numbers, but Global Call Forwarding offers very competitive rates when put side-by-side with its competitors. With number parking, calling a number that is parked no longer leads to the phone ringing. It is also not assigned to anyone else. The person who has parked the phone number still owns the phone number. Inbound callers are typically directed to a message letting them know that their number has been parked. Callers can also typically leave the owner of the phone a message. Another option is to have calls made to a parked number forwarded to another number altogether. When someone moves from one home to another in the same area, there may be a gap in time between the time one leaves one home and settles into the new home. In this situation, a “keep phone number without service” scenario makes perfect sense to help those who own the number the opportunity to keep their number even when it is not in use. If someone is moving to a different area but doesn’t want to lose contact with people who have their number, then parking the number with notifications or forwarding is a great way to go. For someone who is moving their business, missed phone calls will most likely result in loss of revenue, so parking with forwarding is probably the best route to take. When someone passes away, parking a phone number and having their calls forwarded can help to make sure that any important calls are not missed and costs are minimized. Businesses that wish to lower costs without putting their productivity and ability to serve their customers in jeopardy may find that the “keep phone number without service” is the best option for them. The phone number parking features can be a huge advantage in this type of scenario as it helps to eliminate costly phone hardware and expenses, making money more available to the business to be used in other areas. Phone number parking and related features, such as call forwarding, can offer significant cost savings and efficiencies to those in either short term or long term situations. Global Call Forwarding has been in the business of providing telecommunication solutions both domestically in the United States and internationally across the globe for over two decades. In the “keep phone number without service” market, as well as all other products and services offered, Global Call Forwarding continues to make strides in innovation as well as technology. Superior customer service and products have kept Global Call Forwarding ahead of the game in comparison to its competitors and an aim to keep customers happy is what drives this telecom leader at its core. Have you seen, in person, the electric unicycles that go like… really fast? As battery technology continues to advance, electric ride-ables of all types are evolving at the same time. If you haven’t considered it yet, one especially cool ride that is growing in popularity is the electric unicycle. While a unicycle certainly demands more time and effort from a user in mastering them in comparison to something like an electric skateboard or a hoverboard, with some practice, many riders will learn to love the increased range provided by an electric unicycle as well as the speed and versatility that these ride-ables offer. The Swagtron Swagroller is one of the best high-performance electric unicycles out there. It is a very contemporary-looking offering and it is totally on-trend as a self-balancing electric unicycle. This one comes with a beginner’s kit that is fairly simple to use and includes training wheel accessories that allow for the user to gain some strength and confidence in getting used to riding this unicycle. This electric unicycle has a lot of speed and is resilient to various types of climate. Specifically, it works very well in challenging terrain, because of a very unique wheel design. This unicycle is also priced very moderately, which is always a plus. The Segway One S1 is another one of the best electric unicycles. Though it struggles on any type of challenging terrain, it is great on solid ground. Also, it offers learning stages to help a rider master the unit with and without the training wheels. There are several designs to choose from to appeal to various tastes and it works with an app that helps the rider to control settings. The Segway One S1 is also very small; it can even easily fit into a backpack for those on the go. The Inmotion V8 is a contemporary unicycle with superb functionality and it can run at a maximum speed of 20 miles per hour, absolutely allowing it to the fit into the category of electric unicycles that go like… really fast. This unicycle has great range, well-executed design that is very weather resistant, and it is easy to master with the training guide that comes along with it. The Inmotion V8 also has a handlebar, which makes it easy to pull around rather than having to carry it. The ArtWheel KingSong is yet another one of the electric unicycles that goes really fast. This unicycle was designed for music lovers. It has quad speakers built in, the ride is lightweight, and it’s easy to carry. It also gets charged fairly quickly and has a battery that can be removed in order to upgrade. Setting itself apart for speed especially, the Apex Star I SP800 Speeder has been ranked as the fastest of the electric unicycles that go crazy fast. This unicycle offers great mileage and comfortable speed, which allows a rider to cruise across further distances. It is a wonderful unicycle for a beginner, because it comes with self-balancing technology. The Apex Star I SP800 boasts 22 miles per hour speed and is known to be a super fun ride. When compared to hoverboards, unicycles are better for both distance and speed. Electric unicycles that go like… really fast are made to cover a greater amount of mileage in ways that typical unicycles and bicycles cannot. This takes into account the distance each is able to cover, the maximum speed, and the angle degree each is able to go over. Aside from being trendy, electric unicycles that go like… really fast also have to be made with good design as this affects performance. Unicycles are more efficient to their riders if they are made of light materials. This makes them run better. Also, lighting makes them easier to travel on at night for safety reasons. LED lights as indicators for battery power consumption or other alerts are other details that the best ones feature. A strong frame and shell are also important. Other important things to consider when looking at electric unicycles are weight capacity, battery power, motor power, and the value for the money. Purchasing an electric unicycle of any kind isn’t going to be particularly cheap. When shopping for electric unicycles that go like… really fast, one should do their due diligence in researching options, features, and prices on a variety of different models and make a selection based on what is the all-around best fit for them. Someone may wish to record a phone call for any number of reasons, but it is important to take into consideration that there are both federal and state laws pertaining to the recording of calls. Being aware of legal issues regarding call recording is important for companies, in particular, who wish to record all customer service calls, as an example. United States federal law requires that at least one party taking part in a call be notified that the call is being recorded. In addition to federal law, there are laws in some states that require only one party to be notified of the call recording, while other states require two parties to be aware of the call recording. Approximately 13 states in the United States require all parties to consent to a call recording. Those states include California, Connecticut, Delaware, Florida, Maryland, Massachusetts, Michigan, Montana, Nevada, New Hampshire, Pennsylvania, Vermont, and Washington State. In the United Kingdom, there are several laws that cover the practice of recording phone calls. Unless you are able to guarantee that the call recording will not be shared with any third party and that the call is being recorded to either gather evidence, prevent a crime, or ensure regulatory compliance, it is the safest bet to consider the United Kingdom a jurisdiction that requires all parties of a phone call to consent to a call recording. In Canada, there is an established single set of rules for all call recording, which is built into its electronic privacy law. Canada also has an all-party consent approach so that in order for a call to be legally recorded, a person/business must notify the others on the phone call that the call will be recorded, what the purposes of the call recording are, and that the call may only be recorded with the consent of every person on the phone call. Ireland also requires all party consent in order for a call to be recorded legally. The purpose of the call recording must be explained in detail to each participant of the call and each party on the call must give informed consent. Some of the reasons companies may wish to record calls are for records-purposes. That is, if there is a dispute regarding an agreement regarding a contract or a payment, the company has the recording to fall back on for review and resolution of the dispute. Call recording is also used in order to support the improvement of customer service practices and for staff training purposes. For example, a recording may be used to demonstrate to new incoming staff members how a particular situation should be handled. In the same way, a call recording could be used to show new incoming staff members how a situation should not be handled. Call recordings can be very useful for staff training. Legal issues regarding call recording can be complicated and sometimes controversial. It is the choice of a business owner to comply with all relevant regulations and any industry standards. Accomplishing the task of compliance requires careful research related to which laws apply to particular types of businesses. Legal issues regarding call recording also encompass a variety of call recording functions. These include, but are not limited to, issues of participant consent, regulations regarding the storage of recordings and the legality of putting a pause on and then resuming any live recordings. In order to research legal issues regarding call recording for a call center, for example, a number of agencies and resources must be checked to ensure all aspects are covered in recording calls from and to various areas. As it is easy to see, legal issues regarding call recording vary from state to state within the United States and they also vary from country to country. For a business that operates in various countries, it may be simpler to adopt an all-party disclosure and consent rule rather than aim to investigate and follow the rules of each market the business works within. Making sure that you and your legal team has a clear understanding of legal issues regarding call recording and always obtaining consent when in doubt is paramount. Quora serves as an open platform to get answers to all types of questions. Everyone needs answers at one point or another. If you have spent any time on the platform, then it is almost guaranteed that you have noticed a multitude of hilarious questions and answers on Quora. You know the old saying that no question is a stupid question? Well, many people have taken that quite literally. Some of them are a little more subtly hilarious than others, but there is certainly no shortage and this is noticed pretty much immediately. Many site visitors turn to Quora for answers to very serious questions related to business, fitness, health, and other life situations. Others turn to Quora for more light and general life questions, regarding where to travel to, recipes and book recommendations. Every once in a while though, everyone needs a break from the serious and it is easy to get a laugh from some of the hilarious questions and answers on Quora. After just two minutes into a scan through some of the questions, I came across the question, “What would you do if you woke up as a little girl?” That one is a little strange and funny. Next, I came across the question, “I have had 5 girlfriends so far, but I still haven’t found happiness. What should I do?” I am sure the person was very serious about this question and looking for some help in this area. A person who posted a response to it, however, had anything but “serious” on the mind. They responded with, “Maybe you need 1 Boyfriend.” You have to admit, that is hilarious. Some of the hilarious questions and answers on Quora have a little bit of a serious streak to them; that is, they make a valid point while still managing to be hilarious. One question reads, “What do you call a girl who flirts with more than one guy?” This question is puzzling. I didn’t know there were guidelines with regard to how many people a single person is allowed to flirt with, whether they are a girl or a guy. One Quora member responded with, “Whatever her name happens to be.” That seems like the most obvious thing to call someone – by her name! Another hilarious, put-someone-in-their-place response was to a question that reads, “Why don’t billionaire males have more physically attractive wives?” A Quora user responded with, “Because those who have brains to make billions, have the brains not to marry a woman only based on her looks.” Direct, accurate, and hilarious. Though Quora is used to ask many insightful questions about the universe, history, medicine and many other topics in between, it is also used to ask completely nonsensical questions that are sure to give you a chuckle. How do I calculate the fair price of a girlfriend using asset pricing theory? Can jellyfish suffer from depression? How many ugly babies do maternity nurses see in a lifetime? Imagine you are a 10x nun in a bear costume from outer space with opposable thumbs about to engage in a fight to the death with another nun, who may or may not be in a bear disguise. In front of you two lie a hunting knife and a baseball bat. If you pick one, the other nun will choose the other weapon. Which one would you pick and why? 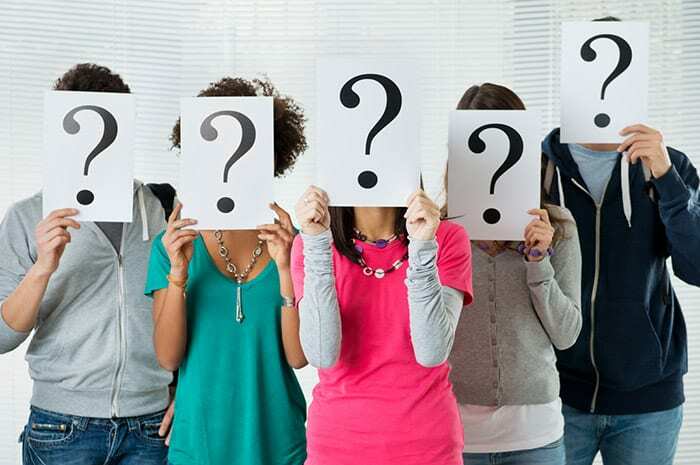 The bottom line is that there is no shortage of interesting information as well as entertaining information in the form of hilarious questions and answers on Quora. There are questions that you will read and simply nod your head in disbelief to and others that spark thousands of comments, upvotes, and intelligent discussions. Quora has mastered the hosting of this Q&A platform that has the ability to quench the thirst of the curious mind and to entertain the mind that just needs a break with some light, humorous reading. Nothing like a quick laugh, right? The term emotional intelligence, also known as emotional quotient (EQ), was coined in 1990 by Peter Salovey and John D. Mayer. It refers to a type of social intelligence involving your ability to discriminate between your own and others’ emotions and to use those feelings to guide your thoughts and actions. How Does Emotional Intelligence Help? Self-Management: You are aware of and keep in check any impulsive feelings and behaviors. You have healthy strategies to control your emotions. You are able to adapt to different circumstances, follow through with commitments, and take the initiative. Self-Awareness: You can recognize your emotions as they arise and understand how they can affect your thoughts and behavior. You are aware of your strengths and weaknesses and possess self-confidence. Social Awareness: You can understand and empathize with the feelings and emotional needs of others. You can perceive emotional cues, feel comfortable in social situations, and recognize group dynamics. Relationship Management: You understand how to cultivate and maintain good personal relationships. You can communicate clearly and confidently and are influential to others. You work well in a team and can manage conflict successfully. Don’t fall into the trap of thinking that emotional intelligence is the enemy of your intellect; this is not the case. It is possible to have high levels of both of these skills. However, many aspects of life are inherently social, and you need to be able to function well within a relational environment to succeed. As well as taking care of your physical and mental well-being, emotional intelligence helps you to maintain effective relationships and deal with conflict should it arise. Emotional intelligence especially important in the workplace. How Does Emotional Intelligence Function in the Workplace? Your career and work life can be drastically affected by your emotional intelligence. Your workplace is a relational environment, and it’s also a melting pot of personalities, strengths, skills, and emotional traits. So, it makes sense that individuals with a higher emotional intelligence level are able to navigate the workplace relational system more successfully than others. It’s also a fact that a lower level of emotional intelligence can be a serious drawback in the workplace. Symptoms of low EQ can be seen in several negative workplace interactions such as bullying, harassment, and lack of engagement. It can also manifest as aggression, insensitivity, and arrogance. How Can You Tell if Your Emotional Intelligence Needs Improving? The good news is that there are strategies you can learn to improve and develop your emotional intelligence. Here are some tips to help you work on your emotional skills. Use Observation: Be attentive to how you interact with other people. Do you stereotype them? Are you quick to judge? Consider their position and try to be more in-tune to and accepting of their emotional needs. Examine Your Environment: Are you constantly looking for attention or recognition of your accomplishments? Try to practice humility. It doesn’t mean you lack confidence, but rather, you are quietly confident. Evaluate Yourself: Be completely honest and ask yourself the following questions: Where do your weaknesses lie? Where do you see room for improvement? How do you react in stressful situations? On which areas could you work to change your life in positive ways? Take Responsibility: Always own your actions. If you cross a line or hurt someone’s feelings, apologize straight away. Don’t just act like what you did never happened. Before you take action, examine how they will affect those around you. Imagine yourself in their position and consider what your feelings would be like. 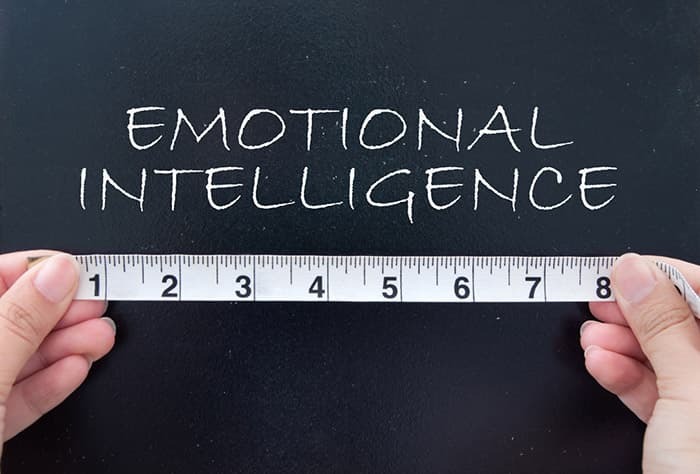 Don’t underestimate the importance of emotional intelligence in the workplace. Understand your competencies and your weaknesses; this is the first step to evaluating and improving your emotional intelligence. Even if you have many leadership strengths, you most likely still have areas where there’s room to grow. 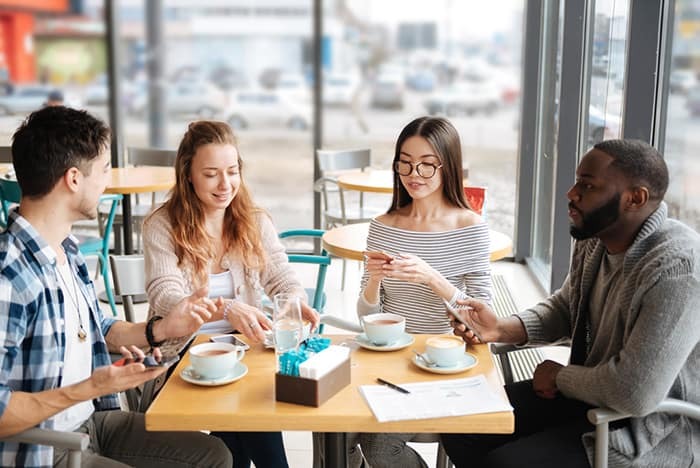 Good communication skills not only improve your interactions with your peers and colleagues, but they also strengthen your relationships and help you gain the respect of those you interact with. Successful communication entails more than just talking to someone. If your conversation skills are lacking, don’t worry, there are things you can do to improve them. If you come across as being cold and distant, arrogant, or lacking in empathy, the person you are talking to will be tense and may not communicate the information you need or may not want to talk to you at all. Whatever your role in the workplace, building patient relationships should be an ongoing practice from the outset, and the way to do this is through improved conversation skills. Establish Rapport: When you talk to a co-worker or employer, make them feel comfortable. Open the conversation by asking them how their day is going. By giving them a chance to relax at the outset, you are setting up a healthy relationship. This means they will feel at ease conversing with you. Don’t be tempted to interrupt or rush them along when they speak. Give them time to explain what they want to say in their own way and listen carefully. Do not interrupt them. In this way, you will get to know your team members and how you can work together. Use Polite Language: Avoid judgmental or insulting language. The last thing you want to do during a conversation is to offend or hurt the person you are talking to. This will cause communication to break down and may lead to aggression. Be aware of any language barriers you may have with your co-workers and act accordingly. Be Aware of Your Nonverbal Communication: When you are having a conversation, be aware of your body language. Don’t look around the room, stare at your computer screen or phone, or fold your arms across your chest. Make eye contact and show the person you’re speaking to that you are being attentive and open, otherwise, you will convey negative messages. Collaborate with Your Team Members: Ask your coworkers what they need from you and explain what you can do to help. Determine how they feel about the joint project you’re working on, and if they agree with the way it’s moving along. Be Flexible: Don’t have a rigid conversation style: what works for your close friends won’t necessarily work for your co-workers or your boss. Learn to judge a situation so you can use your conversation skills to your best ability. Be Concise: If someone asks you for some information, don’t tell them things they don’t want to know. Focus on their question and keep your response pertinent. Otherwise, they will think that you have not been listening to them. Be Empathetic: When you are having a conversation, the other person or persons should always feel comfortable expressing their opinions and concerns and they should feel confident that they will receive understanding and helpful advice. By expressing empathy, you are showing that you understand what your co-workers are feeling. Be Aware of the Details: Someone with good conversation skills notices the little things that the average person fails to see. When you bring such details to the conversation, by pointing out interesting things, it impresses the person with whom you are talking. Eliminate Negative Thoughts: When you’re about to talk to someone, don’t think negatively. Avoid telling yourself that you’re bothering the person, or that you will mess up if you try to start a conversation. Emphasize Similarities: This doesn’t mean that you have to mimic everything the other person says or does, it simply means that pointing out commonalities can help you make a firm connection with another person and start the foundation of a healthy relationship. Get the Other Person Talking: A surefire way to start a good conversation is to get the other person to talk about something that interests them. Make sure you listen intently, and you will get to know a lot about the person. Maintain a Balance: If you want to keep a conversation going, don’t try to dominate it. Give the person plenty of space to talk. On the other hand, you don’t want to be a non-contributor, either. No two people are the same, and there is always room for improvement in your communication skills. Be mindful in your communications and observe not only those you are communicating with but also how you interact with them. This will give you valuable insights for enhancing your conversation skills and improving relationships.